I am looking for a Spare tire rack for my 2017 CFMOTO ZFORCE 800 EPS TRAIL. Having trouble finding one that will fit my ride. Has anyone found a good one that will work? The link below is kind of what I'm looking for or something similar. Thanks. Some have built their own where others have found something they could modify to work. I always though if the time came where I needed to carry a spare I would just get one of these hitch spare mounts, make a longer upper tube with a bent that put it angled over my box and made some kind of upper support if needed and..make it to easily be removed when not needed. But having good 8-ply radials, a great repair kit and compressor has served me well enough. Thanks NM, I have been on a couple of rides where I am miles away from anything. Just a bit paranoid about blowing a tire. The wife wouldn't be too happy camping out for a night unprepared . I am carrying a small Harbor Freight compressor and a tire Plug kit on my machine though. 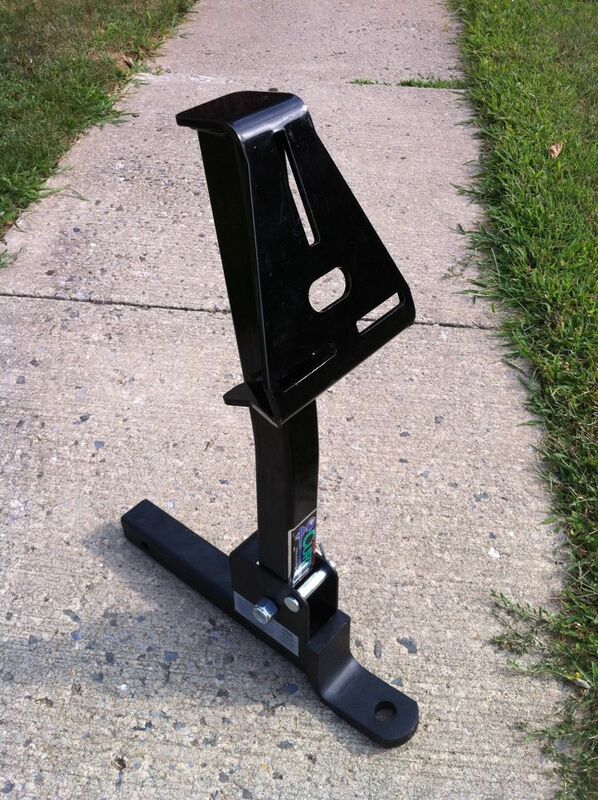 There is a local company here that will custom build a rack to fit but they are pretty expensive. The hitch mount in your picture would work for me.